Does the weather depress you? Or sometimes it's just the crazy crowds at malls that scare you away from your shopping fun? Online shopping will save your day! Modifying your voice in real time has just reached a new level. 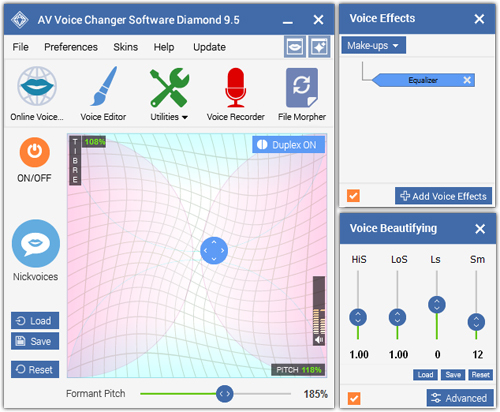 With the forward-looking vision of AV Voice Changer Software Diamond (VCSD), a new approach to professional-quality voice modification is now in-hand. Part of that vision is making sure that every control is available from an intelligent, new interface, based on a Smartphone-type display. Added to this is the brilliant new parabolic display graph for adjusting Pitch and Timbre, the two basic qualities of the human voice. This new graphic display makes adjusting and modifying much easier, clearer. By splitting the display into two organized sides, moving from one to the other is effortless and puts full control of the program’s power in the hands of the user. For long-time users and professionals this new interface should be a welcome sight, as they will see how fast and easy things have become. Just look at some of what is included: a full, 10-slider equalizer, with a host of presets for easy selection; instant access to all of your “nickvoice” files – these are presets for a wide variety of specific voices and voice-types, available from audio4fun.com, including a long list of free “nickvoices” and also access to the work of other users. That is another strength that is not readily visible in the program interface – behind those windows is a worldwide community of users with a very active posting area and it is always buzzing with new activity. Be sure to visit and check out all the great things users are creating and sharing. 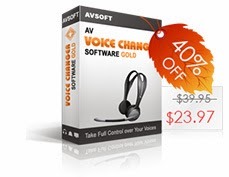 Rounding out the easy-access controls includes a Sound Quality button, a separate equalizer for the voice, and a vowel enhancer button to further enhance vocal qualities. The program also supports touchscreen technology. This new vision includes the ability to edit and save a file as many times as needed, and supports virtually all audio formats. Once you have a voice modified you can create and save your own nickvoice. The amazing part is that all of this is accomplished in real time – you don’t have to wait to listen to the results, you will hear it immediately. Also while in a game or chat, or in a VoIP conversation, or any other situation where you are controlling your audio output, you can use VCSD in real time. You can even record everything as it happens and save it all for replay later. 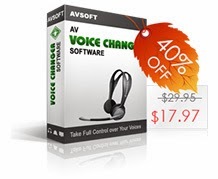 Voiceovers and overdubbing have always been strengths for the Voice Changer Software, and that has only gotten better, as now everything you need is there all at once, it runs faster, and supports more audio and video output formats than ever before; virtually all formats are compatible. 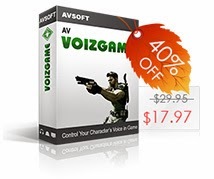 Once you have made a video you can easily add voices and effects and background sounds with VCSD 8. You can even put your own dialog into any movie you have in a file form. The creative possibilities are endless. Whether a professional or an enthusiast, this program is an essential for your collection. This will make your creative energies easier to access than ever before and may even inspire you to explore new directions in voice morphing and modification. And both will appreciate the enthusiastic and supportive online community, where something is always going on and creating excitement. Every day a worldwide base of users author, upload, and share thousands of files and new ideas at audio4fun.com. You’ll also find file after file of samples, examples, and other great creations. Be sure to visit there often, as there is so much happening. 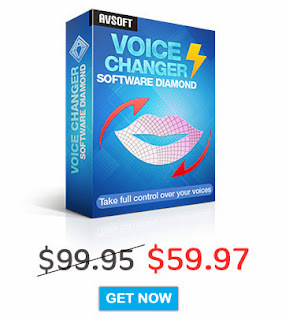 AV Voice Changer Software Diamond 8 is a vision of beauty and technology. You can visit this page to find out more about this newest release.